Waiting an hour to begin a story results in a narrative that is difficult to remember. Suffering the same story problem that plagued Disney’s Big Hero 6, the Angry Birds movie fails to engage the Audience in a compelling story within a reasonable amount of time. 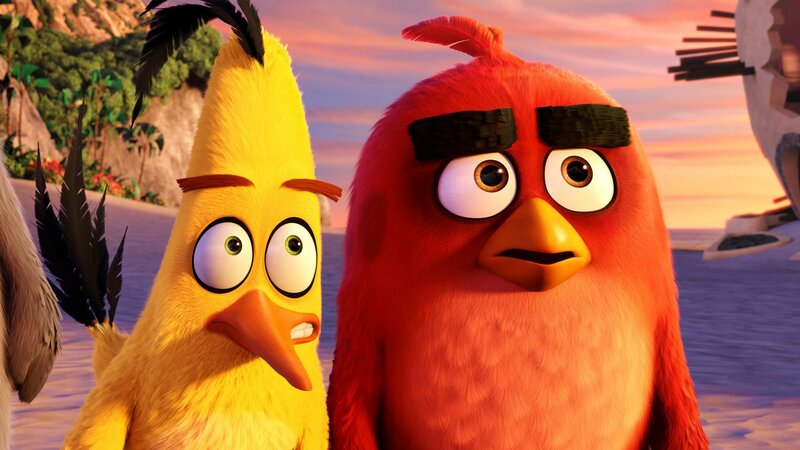 In Big Hero it took 30 minutes before the story actually started; Angry Birds waited an entire hour. A story starts with the introduction of an inequity. Everything before is backstory and perhaps the introduction of one or two subjective Throughlines. Everything after is why the Audience shows up. Until the Author creates that separateness that seeks resolution, the Audience sits impatiently wondering when the story will ever start. One could remove everything that happens before the introduction of the inequity and the meaning of the story would not change. Everything before is inconsequential. Until the pigs steal the eggs there is nothing pertinent to the story. Red’s Main Character Throughline is setup nicely during this time, but without a significant Influence Character or Relationship Story Throughline his bad attitude wears thin. The pigs arriving on their island would only function as the start of an inequity if the the story was about the psychological manipulations of the bird population. It wasn’t. It was about launching birds into castles—a dramatization of the video game and a clear sign of an Overall Story Throughline in Activity. That activity doesn’t go south until the pigs abscond with the eggs. Authors need to be clear about the context of the conflict they are exploring. They can’t start with one and then end with another without confusing an Audience as to the purpose of the narrative. Switching the context of the Story Mind that the Author shares with the Audience creates an experience akin to schizophrenia. Trying to recall a broken narrative proves futile—you can’t reconstruct an incomplete argument. Looking back, it is difficult to remember exactly what Angry Birds was about save for a few funny gags and good character animation. A concrete solid storyform that starts reasonably soon guarantees longevity in the hearts and minds of an Audience.